This morning, the Bureau of Labor Statistics released the latest jobs numbers, reporting 162,000 jobs added and an unemployment rate of 7.4%, down from June’s rate of 7.6%. The decrease in unemployment is partly attributed to more people dropping out of the workforce. Revisions to the previous two months meant that 26,000 fewer jobs were added in May and June than previously reported. It’s time for Washington to be honest: the economy is struggling and continues to spiral downward. A dropping unemployment rate simply does not tell the whole story of an economy where the labor participation rate has barely grown since 2008, wages are falling and the average work week is shrinking. These negative consequences can be linked directly to the big government policies from this administration including higher taxes and Obamacare. After 56 months of unemployment above 7.0% it is obvious that years of failed, big government policies have produced a nation where economic uncertainty is the new normal. It shouldn't have to be that way. We can’t afford to allow Washington to put off fiscal responsibility any longer or use the failure of the policies Americans have endured for the last five years to justify more wasteful spending. The millions of Americans still out of work need it now. It’s time for action. Americans for Limited Government President Nathan Mehrens responded today to the BLS job numbers:"The job report serves as a continuing indictment of the Obama economy showing that a lower percentage of Americans are participating in the workforce than at any time since 1981. "At a time when Obama has attacked the value of construction jobs generated by energy projects like the building of the Keystone XL pipeline, our nation lost 6,000 construction jobs in July, a loss that would have been completely offset if the pipeline was being built based upon State Department estimates. "Our nation's economy continues to stumble along, held aloft by a private sector that refuses to fail in spite of the inordinate burdens placed upon it by the federal government through its environmental, employment and health care policies. "It is time for Congress to act by defunding the job killing Obamacare law, grabbing the EPA by the purse strings to prevent it from implementing its global warming, job killing agenda and keeping the radical Labor Department and NLRB from targeting job producers to suit the needs of their masters at Big Labor. "The almost 20 million Americans who are either unemployed and want a job or in a part time job for economic reasons deserve to have a chance at achieving the American dream. It is a crime that the Obama Administration religiously continues down a path that is guaranteed to deny them this basic hope. "House Speaker John Boehner (R-OH) released the following statement on today's Department of Labor’s unemployment report:“Three years after the Obama administration proclaimed ‘welcome to the recovery,’ we’re still seeing the same thing month after month: not enough new jobs and an unemployment rate far higher than promised. Nearly five years of aggressive intervention by Washington - the ‘stimulus’ era of excessive spending, excessive red tape, and abuse by agencies like the IRS – has left our economy treading water with slow growth, high unemployment, and stagnant wages. The Republican jobs plan will shake us out of this ‘new normal’ with pro-growth policies designed to expand energy production, simplify our tax code for everyone, and restore our nation of builders to give the American people the robust growth and opportunity they deserve.”Evan Feinberg, President of Generation Opportunity which tracks the impact of government on 18-29 year olds, noted:“Looks like another bad month for young people. Last week we learned from Gallup that only 43.6% of 18-29 year olds are employed full-time and now we have another Millennial Jobs Report showing roughly 1 in 6 18-29 year olds are out of work entirely. "This jobs report shows that Obamacare and other 'solutions' coming from Washington are scaring off employers from hiring, and as a result my generation is getting stuck in a cycle of part-time, temporary jobs – not the meaningful careers for which they studied. It's tragic to see a generation as talented and innovative as mine go to waste. "Young people deserve better than to pick up the tab for the irresponsible policies coming out of Washington, and we deserve better than part-time work flipping burgers. Politicians need to acknowledge that their efforts to "help" are relegating us to second-class citizens. "The effective (U6) unemployment rate for 18-29 year olds, which adjusts for labor force participation by including those who have given up looking for work, is 16.1 percent (NSA). The declining labor force participation rate has created an additional 1.8 million young adults that are not counted as “unemployed” by the U.S. Department of Labor because they are not in the labor force, meaning that those young people have given up looking for work due to the lack of jobs. 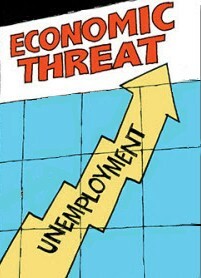 Of special note is that the (U3) unemployment rate for 18-29 year old African-Americans is 20.9 percent. Over the past five years, we've seen a concerted attempt by Washington to spend and borrow the economy back into recovery. But putting millions of Americans back to work will not happen by increasing government spending. It hasn't worked yet, and it won’t work in the foreseeable future. 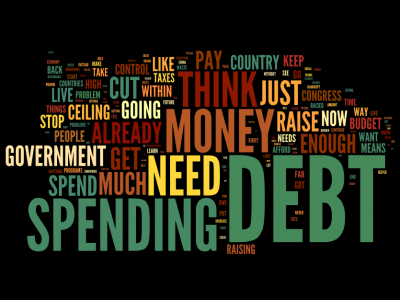 Washington promised that increased federal spending would stimulate the economy, grow jobs and get America back on track. It has failed to deliver on that promise and failed to succeed by the administration’s own standards. A positive long-term trend in the unemployment rate can be attributed almost entirely to a reduction in the labor force participation rate, not more people finding jobs. The hardest hit are young people, who are not achieving traditional milestones, and the middle class, which has seen little, if any, boost financially. Treading water is unacceptable. And burdensome regulations, such as Obamacare, are hurting small businesses, contributing to the creation of a part-time economy with a reduction in average hourly wages and hours in the workweek. For far too long, Washington has, through spending, regulations, taxes and healthcare, made it difficult for businesses to thrive. Delays of certain portions of Obamacare may have seemed like relief, but delays simply leave individuals and businesses unable to plan. Employers have already been forced to cut hours or freeze hiring as a result of new regulations and the burden of Obamacare. It’s time for Washington to take responsibility for its overspending, get out of the way and allow small businesses and the American worker drive a recovery. Our economy deserves better. We deserve better. With unemployment edging down in July, it is important to take a closer look at the numbers to reveal just how damaging the last four years have been. The 162,000 jobs added in July are far below what an economy in full recovery should be producing. Today, over 22 million Americans are unemployed, underemployed, or are no longer looking for work. Another, broader unemployment figure reported by the Department of Labor includes the traditional unemployed, those who have given up looking for work, and those who are working a part-time job but want full-time work. This figure fell to 14 percent in July. In January 2009, the average amount of time spent unemployed was 19.8 weeks. Today, the amount of time has nearly doubled, rising to 36.6 weeks. Total nonfarm payroll employment rose by 162,000. Total underemployed (unemployed, underemployed, or stopped looking): 14 percent. Total stopped looking (discouraged workers): 988,000. Decrease in the civilian labor force: 37,000. The adult male unemployment rate of 7 percent did not change. The adult women unemployment rate decreased to 6.5 percent in July. The unemployment rate for Hispanics increased to 9.4 percent in July. Teens continued to experience the highest unemployment at 23.7 percent. The unemployment rate for individuals with a high school diploma and no college stayed the same at 7.6 percent in July. The unemployment rate for individuals with a bachelor's degree remained essentially the same at 3.8 percent. The number of unemployed individuals decreased in July to 11.5 million. Of the 11.8 million Americans unemployed, 4.2 million have been looking for work for over six months, a decrease of 82,000 from June. Tags: Department of Labor, DOL, Bureau of Labor Statistics, July 2013, unemployment rate, To share or post to your site, click on "Post Link". Please mention / link to the ARRA News Service. Thanks! by Katie Nielsen, The Heritage Foundation: Speaking at The Heritage Foundation Tuesday, Sen. Ted Cruz (R-TX) explained his push to defund Obamacare. Tags: Senator, Ted Cruz, R-TX, Defund Obamacare, Heritage Foundation, video To share or post to your site, click on "Post Link". Please mention / link to the ARRA News Service. Thanks! The Senate reconvened at 11:45 AM today for a pro forma session and will officially adjourn for August if the House approves an adjournment resolution today. Senators are spending the month working in their states. The Senate will return for legislative business on Monday, September 9th. Yesterday, Senate Republicans voted to block Democrats from advancing a spending bill, S. 1243, the Fiscal Year 2014 Transportation-Housing and Urban Development (THUD) appropriations bill, which exceeded agreed-on spending limits in the 2011 agreement. Also yesterday, the Senate voted 87-10 to confirm Samantha Power to be Ambassador to the United Nations and 97-0 to confirm Raymond Chen to be U.S. Circuit Judge for the Federal Circuit. The House also considered and quickly passed (232 - 185) H.R. 2009 — "To prohibit the Secretary of the Treasury from enforcing the Patient Protection and Affordable Care Act and the Health Care and Education Reconciliation Act of 2010." Four Democrats joined the Republicans in passing the bill. It is expected that Majority Senate Leader Harry Reid will refuse to take up the bill. H.R. 1897 (405-3) — "To promote freedom and democracy in Vietnam." H.R. 2879 (239-176) - Stop Government Abuse Act - "To provide limitations on bonuses for Federal employees during sequestration, to provide for investigative leave requirements for members of the Senior Executive Service, to establish certain procedures for conducting in-person or telephonic interactions by Executive branch employees with individuals, and for other purposes." H.R. 1582 (232-181) - Energy Consumers Relief Act - "To protect consumers by prohibiting the Administrator of the Environmental Protection Agency from promulgating as final certain energy-related rules that are estimated to cost more than $1 billion and will cause significant adverse effects to the economy." Woodall (R-GA) (Voice Vote) Amendment No. 4 – Requires EPA to make publicly available all data and documents relied upon by the Agency to develop estimates under the bill. Murphy (R-PA) (234-178) Amendment No. 6 – Prohibits the EPA from using the "social cost of carbon" valuation for any energy-related rule covered by this bill. Davis (R-IL), Peterson (D-MN) (Voice Vote) Amendment No.2 - Adds a to the definition of what constitutes a “major rule” to include any interim final rule issued by the Environmental Protection Agency (EPA) that would have a significant impact on a substantial amount of agricultural entities (as determined by the Secretary of Agriculture). Sessions (R-TX), Davis (R-IL), Barr, (R-KY), Wenstrup (R-OH), Coffman (R-CO) (Voice Vote) Amendment No.5 -Requires the agency submitting the report on a proposed Federal rule to include an assessment, as part of the cost-benefit analysis submitted to the Comptroller General and each House of Congress, of anticipated jobs gained or lost as a result of implementation, and to specify whether those jobs will come from the public or private sector. McKinley (R-WV) (voice Vote) Amendment No.9 - Reduces the annual effect on the economy of the term ‘major rule’ from $100 million or more to $50 million or more. Webster (R-FL) (Voice Vote) Amendment No.11 - Prevents federal agencies from implementing significant policy changes without appropriate congressional review. Brings administrative rules having an economic impact of $100 million or more as scored by the Office of Management and Budget before Congress for a vote. Today, the The Washington Times addressed the House Oversight Committee subpoenas of Treasury Secretary Jacob Lew for IRS documents. "House Republicans on Friday accused Treasury Secretary Jacob Lew of obstructing their investigation into the IRS’s targeting of tea party and conservative groups, and issued subpoenas for more agency documents. Oversight committee chairman Darrell Issa, California Republican, sent a scathing latter to Mr. Lew blasting him and President Obama for dismissing the GOP’s claims about IRS targeting as a “phony” scandal, saying that Mr. Lew has “attempted to thwart” his investigation. . . . 'Over two months since the committee first requested documents, the IRS has produced only a small fraction of responsive documents,' Mr. Issa said. The IRS is an agency within the Treasury Department." And Georgia is by no means the only state suffering sticker shock. It’s not even the only one this week. According to The Columbus Dispatch yesterday, “Ohioans purchasing health insurance on a new online federally run marketplace will spend 41 percent more for individual coverage than they would have this year, according to the state Department of Insurance.” On Wednesday the AP reported, “Florida's insurance officials are predicting that health insurance rates will rise 5 to 20 percent for small businesses and 30 to 40 percent in the individual market through the state's new exchange.” And last weekend The Baltimore Sun wrote, “Marylanders who buy health insurance on a state exchange under health reform could see their premiums jump as much as 25 percent under rates approved by state regulators . . . .” And prior to this past week, there were reports of rate shock at premium increases due to Obamacare coming from Indiana, Idaho, Missouri, and Kentucky. Leader McConnell then asked unanimous consent to pass H.R. 2668. Senate Majority Leader Harry Reid (D-NV) objected, choosing to allow the mandates to stay in place while more states announce the law resulting in higher premiums every week. Tags: House, economic growth, jobs plan, responsible government, Obamacare, Rate Shock To share or post to your site, click on "Post Link". Please mention / link to the ARRA News Service. Thanks! “For an average 25 year-old male, premiums are set to rise 85 to 198 percent within the exchanges, while for a 45 year-old male, premiums will rise 40 to 100 percent, [Insurance Department official Jay] Florence said.” (“Georgia Insurance Rates Spike Under Obamacare,” Washington Free Beacon, 7/30/13). Tags: Obamacare, Affordable Care Act, costs, pocketbook, higher claims cost, To share or post to your site, click on "Post Link". Please mention / link to the ARRA News Service. Thanks! by Dr. Bill Smith, Editor: Andrew DeMillo addressed Senator Mark Pryor's recent criticism of Rep. Tom Cotton's vote against the Student Loan Bill. While Pryor is desperate for any opportunity to ward off Tom Cotton who will be his most likely opponent in 2014, Cotton was clearly prepared to respond why he voted no. It was not because he agreed with the high interest rates being charged to students but how the the problem of where and what caused the problem - ObamaCare. DeMillo reported on the response by the Pryor campaign: "'Tom Cotton is once again positioning himself far outside the mainstream of most Arkansans, choosing the side of reckless Washington special interests while ignoring the needs of families of our state, Jeff Weaver, Pryor's campaign manager, said in a statement issued by the campaign." 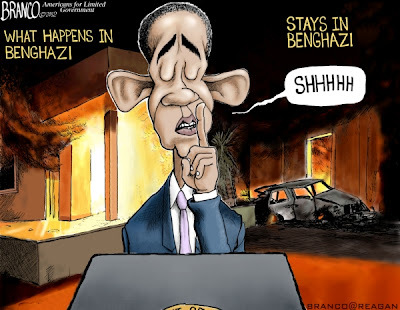 "The bill passed Wednesday and awaits President Barack Obama's signature. The bill links student loan interest rates to the financial markets. It would offer lower rates for most students now but higher rates down the line if the economy were to improve as expected." DeMillo rightly sought response from Rep. Cotton: "In a statement from Cotton's office he defended his vote and criticized an overhaul of the student loan program that was attached to the federal health care law in 2010. The overhaul cut banks out of the process and made the government the primary lender to students. "'A better path is to repeal Obamacare, which nationalized the student loan business, and let Arkansas' hometown banks work with students and families to finance education, just as they do with homes, farms, businesses and other loans,' Cotton said." Arkansas State Representative David Meeks responded to the above reference article on Facebook: "I love Congressman Tom Cotton's response to Senator Pryor on the student loan vote that happened today: "A better path is to repeal Obamacare, which nationalized the student loan business, and let Arkansas' hometown banks work with students and families to finance education, just as they do with homes, farms, businesses and other loans.'" In Summary: The Democrats messed up the Student Loan Rates. The House republicans reacted in support of their constituents in an effort to mitigated this situation, calling attention to the doubling of student loan interest rates and in reality forcing the Senate Democrats to come toan agreement to fix the problem. 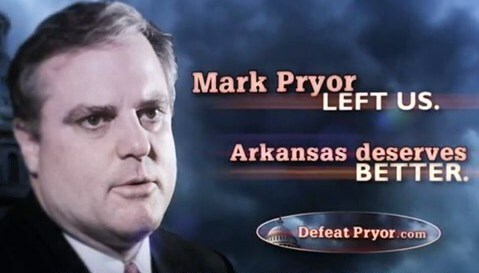 Out of desperation, Mark Pryor and his campaign responded to Cotton's vote. Pryor has receivied a pounding in the polls even before Cotton expressed he would indeed be announcing that he is running for the Republican nomination and hopefully opposing Mark Pryor in 2014. However, knowing the House bill would pass and student interest rates would be reduced, Tom Cotton smartly moved to make his vote a teachable moment. He voted no on conservative principles and stated his conservative position. If Scoring, Cotton wins on principal. Pryor looses because he was responsible for this overall fiasco by voting and supporting the continuance of ObamaCare against the wishes of the majority of Arkansans. Also, why is the student loan program tied to Obamacare which nationalized student loans and which created a whole lot of other destructive crap for Americans? Senators Pryor and Lincoln voted for Obamacare. Lincoln has paid the price in 2010. Now it is Pryor's turn to receive the wrath of Arkansans who already twice defeated the election of Barack Obama by over 60 percent. Pryor's desperation is not going to distract most Arkansas voters. They give him a pass without an opponent in 2008 and then watched him support a cesspool of legislation against the the will of the most Arkansans. Now he is running with the likes of Senator Harry Reid and Rep. Nancy Pelosi in other states trying to raise campaign funds. I normally do not share my voting. But to be clear, If Tom Cotton were not running and instead my river guide, Bubba, were to step out of his boat to oppose Pryor, Bubba would get my support and vote. No Bubba is no politician, not a lawyer, not even a college graduate, but he is conservative, loves his wife, kids and neighbors, served in the military, knows and loves the Natural State, and will vote no and yes and then honestly tell you why in plain English. I guess I kind of cotton to Bubba. Regardless, for the good of Arkansas, Pryor is going down in 2014! Tags: Mark Pryor, Tom Cotton, US Senate, 2014 To share or post to your site, click on "Post Link". Please mention / link to the ARRA News Service. Thanks! Tim Phillips, President, Americans for Prosperity: Trust me when I tell you this: we are going to repeal ObamaCare. It may take a while, or not. But either way, we’re going to take this terrible law off the books. Just yesterday we released another multi-state TV ad introducing a family doctor who is worried about her patients and the state of health care throughout our country because of the impact of ObamaCare. It's part of a massive ad blitz that will continue straight through the Fall as we tell younger Americans that ObamaCare will cost them more money, limit their health care options and throw them into a big, one-size-fits-all Medicaid-like morass IF they sign up for it. Earlier today, we kicked off the first of over 60 AFP grassroots healthcare events we're holding around the country this August, starting with a picnic and rally against ObamaCare on the State House lawn in New Hampshire. 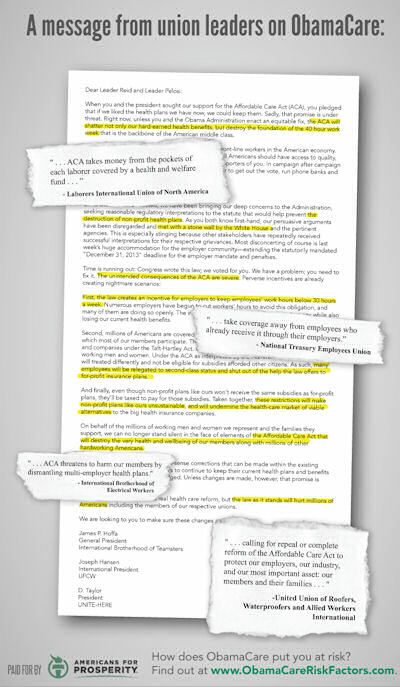 Today we have a full-page ad in the Washington Post showcasing that even union bosses are now complaining bitterly about the devastating impact of ObamaCare on their members and businesses. We're using social media and, in coming weeks, face-to-face conversations at sporting and community events to ask millions of our fellow Americans -- especially those under the age of 35 -- to check their risk factors for ObamaCare. You can see how ObamaCare will impact you directly by visiting ObamaCareRiskFactors.com. 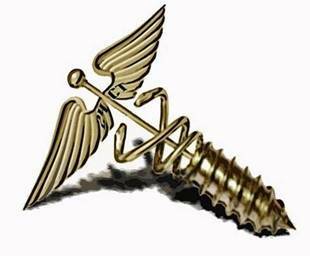 Some politicians and pundits are trying to make it seem that efforts to repeal ObamaCare are fruitless and that the law is here to stay. You and I know better. We were there in the spring of 2009 when President Obama (riding high in the polls) and then-Speaker Nancy Pelosi and 60 Democrats in the Senate all confidently predicted that the nation was ready for Washington, D.C.-run, national health care. From that moment, we knew this would be a long-term fight. 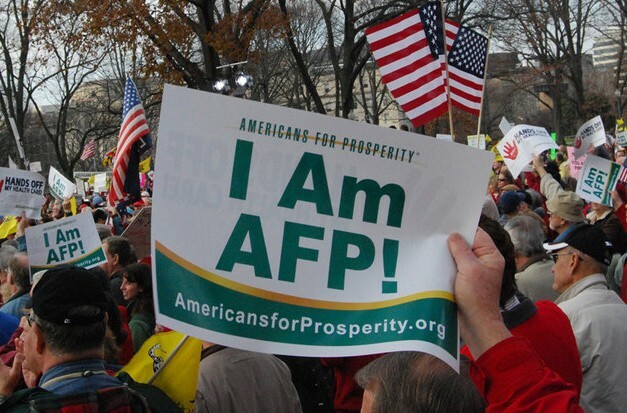 AFP’s Hands Off My Health Care Tour crisscrossed the nation in 2009 hosting over 300 events and rallies. Later that year, over 5,000 activists gathered for AFP’s Code Red Rally in Washington. We didn’t let up for a second. When ObamaCare went to the courts, AFP was there with another major rally to protest the unconstitutional individual mandate, and we followed up with a TV campaign criticizing President Obama for the massive tax increases in the law. In an effort to warn the public about the dangers of government-run health care, we introduced the world to Shona Holmes, a Canadian whose life was put in jeopardy by the “free” yet inaccessible healthcare system in her own country, forcing her to seek life-saving treatment in the United States. Since then, the left changed tactics and started focusing on coercing states to implement ObamaCare through state exchanges and tempting governors with “free money” for the massive Medicaid expansion, a cornerstone of ObamaCare. We’ve been focusing all summer long on states throughout the nation, and with your help we’ve led the fight to rein in government waste and urge reforms, instead of expanding this broken system. Activists like you have been instrumental in stopping exchanges and Medicaid expansion in 22 states. Through the hundreds of rallies and events, along with long, hot days of phone calls and door knocking, we have persevered. Today, the majority of Americans agree with us that ObamaCare is a bad law that needs to be repealed. The fight is far from over, but we’re pushing ahead every day. Thank you for all you do in the fight for healthcare freedom. We wouldn't be winning with the American people on this issue without you. Let's just make sure we keep the faith by continuing to spread the word that we will win this long battle to repeal ObamaCare! Tags: Tim Phillips, Americans for Prosperity, Obamacare, Repeal Obamacare, videos, ad, ObamaCareRiskFactors.com To share or post to your site, click on "Post Link". Please mention / link to the ARRA News Service. Thanks! Rep. Steve Scalise, Chairman, Republican Study Committee: Hard work, grit, and determination built America. Those values remain at the core of what makes our nation the greatest country in the history of the world. That same spirit lives on today in states like Louisiana where the domestic energy industry creates high-paying American jobs for middle class families and helps lead our march towards energy independence. But Washington liberals, with their heads in the sand, want to change all that. They ignore common sense and unbiased facts, in a mad rush to pursue their radical agenda of restricting American energy development at any cost. Their latest proposal is nothing new really, just the same repackaged and renamed initiative – a nationwide carbon tax. Regardless of the name, and it has had many over the years, the effect of a carbon tax will always be the same - higher energy costs on families and fewer jobs here at home. Make no mistake - implementing a carbon-tax under the guise of environmental regulations is just the latest salvo in the liberals’ pursuit of their radical agenda, and yet another attempt to feed their unquenchable thirst for job-killing tax hikes. Fortunately, the American people and the House GOP refuse to be steamrolled by Washington liberals seeking to implement radical polices behind closed doors. A recent survey by the Institute for Energy Research shows that a strong majority of American voters oppose a carbon tax. I’m proud to lead the effort to oppose a national carbon tax in Congress. With more than 145 cosponsors to our bill, a powerful group of carbon tax opponents is organized and ready to act swiftly to defend our nation from the threat of yet another liberal job-killing tax. When it comes to America’s energy reserves, the paradigm has shifted from the threat of energy scarcity to the new blessing of energy abundance. We must continue this positive trend toward American energy security if we hope to control our own destiny. Simply put, a carbon tax is a step in the wrong direction, and will just be used as another source to fund more bloated wasteful Washington spending.We need only look abroad to see the real-world effects of such radical proposals. Just last week, high energy prices and diminished competitiveness in the global marketplace forced Australia to announce they would ditch their version of a carbon tax. It’s been proven that a carbon tax will lead to more American jobs forced overseas, and will increase the cost of virtually every manufactured good that families purchase. A study by the National Association of Manufacturers recently found that a carbon tax would drop output by as much as 15 percent in energy-intensive sectors of our economy and 7.7 percent in non-energy intensive sectors. It would also force the cost of natural gas to increase by more than 40 percent and cause the price of gas to spike by more than 20 cents per gallon. American families are already struggling to stay afloat in the failed Obama economy. More than four and a half years of failed big-government laws and regulations (See: Obamacare) threaten to devastate millions more families and small businesses. Americans need solutions from Washington, not more job-killing regulations and taxes. The penchant for Washington liberals to seek new ways to implement radical policies in the pursuit of their extreme agenda has pushed our nation to the brink. Two distinct paths are laid out before our nation. The future holds endless potential if we choose the free-market path towards energy independence with less government intrusion and common-sense regulations. Diverging from that path leads down a road choked with radical government regulations, big government overreach, and the slow dissolve of the American Dream as we know it. Washington cannot continue handcuffing hardworking American families and small businesses to a stagnant economy and a bleak future. It’s time for the liberals in Washington to abandon their push for a carbon tax, admit the devastating impact of their reckless big government policies, and work with House Republicans to achieve American energy independence and finally get our economy back on track. 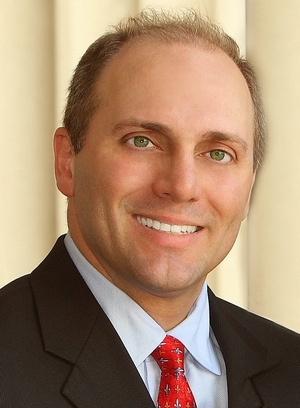 Steve Scalise represents Louisiana’s First Congressional District. He serves on the House Energy and Commerce Committee and is the Chairman of the Republican Study Committee, a group of more than 170 conservative members in the House. Tags: Steve Scalise, Representative, Lousiana, Chairman, Republican Study Committee, carbon tax, DC liberals, energy, energy independence To share or post to your site, click on "Post Link". Please mention / link to the ARRA News Service. Thanks! WASHINGTON, DC – House Speaker John Boehner (R-OH) today seized on an announcement that health insurance premiums in Ohio will increase by an average of 41 percent over last year as a result of disruptions in the state’s competitive insurance market caused by President Obama’s health care law, challenging President Obama’s assertion that the law is “working fine.” Yesterday, Boehner announced the U.S. House of Representatives will hold a series of votes this fall aimed at ending the president’s health care law through a series of targeted legislative votes building on two bipartisan votes in the House this month to delay the law’s employer and individual mandates. Other targeted bills aimed at fracturing the coalition of support that President Obama has used to keep the health care law in place. Boehner also called on President Obama to "Stop Mocking Policies that Will Create Jobs, Start Leading on Addressing Spending Crisis." Tags: Speaker, John Boehner, Ohio, 41% increase, healthcare premiums, Obama, mocking policies that create jobs,spending crisis To share or post to your site, click on "Post Link". Please mention / link to the ARRA News Service. Thanks! The Senate convened at 9:30 AM today. The Senate then took up the nomination of Raymond Chen to be U.S. Circuit Judge for the Federal Circuit. Following an hour of debate, the Senate voted 97-0 to confirm the Chen nomination. Senators then began voting on cloture (to cut off debate and amendments) on S. 1243, the Fiscal Year 2014 Transportation-Housing and Urban Development (THUD) appropriations bill. Following the vote, the Senate will recess until 2 PM for caucus meetings. When senators return, the Senate will take up the nomination of Samantha Power to be Ambassador to the United Nations. After up to two hours of debate, the Senate will vote on confirmation of the Power nomination. Yesterday, the Senate voted 60-40 to invoke cloture (cut off debate) on the nomination of Todd Jones to be Director of the ATF Bureau. Senators then voted 53-42 to confirm his nomination. Americans for Limited Government President Nathan Mehrens reacted to the Senate invoking cloture and voting for the nomination of Byron Todd Jones as director of the Bureau of Alcohol, Tobacco, and Firearms: "The Senate should not confirm any nominee that has an open investigation by the Office of Special Counsel complaint for whistleblower retaliation. If the allegations are true, Jones fits right in with the Obama Administration. This is the same administration that slow walks Freedom of Information Act requests, targets news reporters with sweeping search warrants and baseless charges of espionage, and throws the books at whistleblowers exposing the government for what it is. But that does not mean the U.S. Senate needs to be a party to it. Jones should have been made the poster child for the most opaque administration since Richard Nixon. Jones should have been delayed in committee until the whistleblower retaliation investigation was concluded. Senate Democrats think they can get anyone confirmed now ever since Senate Republicans took the filibuster off the table against executive nominees. Already we can see what a mistake that was. Republicans had the votes to defeat Jones and then Sen. Lisa Murkowski switched her vote at the last minute to honor the 'no filibuster' rule. Advice and consent is dead. Jones is only the beginning of the rubber stamp Senate." H.R. 1582 — "To protect consumers by prohibiting the Administrator of the Environmental Protection Agency from promulgating as final certain energy-related rules that are estimated to cost more than $1 billion and will cause significant adverse effects to the economy." H.R. 367 - "To amend chapter 8 of title 5, United States Code, to provide that major rules of the executive branch shall have no force or effect unless a joint resolution of approval is enacted into law; providing for consideration of the bill (H.R. 2009) to prohibit the Secretary of the Treasury from enforcing the Patient Protection and Affordable Care Act and the Health Care and Education Reconciliation Act of 2010; providing for proceedings during the period from August 3, 2013, through September 6, 2013; and providing for consideration of the bill (H.R. 2879) to provide limitations on bonuses for Federal employees during sequestration, to provide for investigative leave requirements for members of the Senior Executive Service, to establish certain procedures for conducting in-person or telephonic interactions by Executive branch employees with individuals, and for other purposes." H.R. 2879 — "To provide limitations on bonuses for Federal employees during sequestration, to provide for investigative leave requirements for members of the Senior Executive Service, to establish certain procedures for conducting in-person or telephonic interactions by Executive branch employees with individuals, and for other purposes." And Other Bills the Votes are pending on. H.R. 313 (Voice Vote) — "To amend title 5, United States Code, to institute spending limits and transparency requirements for Federal conference and travel expenditures, and for other purposes." H.R. 1660(Voice Vote) — "To require the establishment of Federal customer service standards and to improve the service provided by Federal agencies." H.R. 2769 (Voice Vote) — "To impose a moratorium on conferences held by the Internal Revenue Service." H.R. 2768 (Voice Vote) — "To amend the Internal Revenue Code of 1986 to clarify that a duty of the Commissioner of Internal Revenue is to ensure that Internal Revenue Service employees are familiar with and act in accord with certain taxpayer rights." H.R. 2565 (Voice Vote) — "To provide for the termination of employment of employees of the Internal Revenue Service who take certain official actions for political purposes." H.R. 1911 (392-31) — Bipartisan Student Loan Certainty Act of 2013. H.R. 850 (400-20) — "To impose additional human rights and economic and financial sanctions with respect to Iran, and for other purposes." H. Con. Res 41 (Voice Vote) - Encouraging peace and reunification on the Korean Peninsula, as amended. Of course, last year, Democrats howled when Republicans suggested spending less than the 2011 spending limits. Sen. Patty Murray (D-WA) urged Republicans to “come back to the deal that we made last August” and the White House complained that “would break the agreement on discretionary spending made in last summer's budget agreement” in a veto threat. Tags: confirmations. Democrat, Senators, Spend more federal money, above agreements, House Republicans, Government get out of the way, jobs, businesses To share or post to your site, click on "Post Link". Please mention / link to the ARRA News Service. Thanks! Tags: Obamacare, pay cuts, part-time workers, To share or post to your site, click on "Post Link". Please mention / link to the ARRA News Service. Thanks! by Rod Martin: Forty-six years after the Six Day War, its memory invariably produces a deluge of propaganda attacking “the Zionist Entity” and promoting “an independent Palestine”, restricted to the territories Israel took in 1967 (for English-speaking audiences), or “driving the last Jew into the sea” (in Arabic and Persian). Lost in the din are some particularly “inconvenient truths”, both historical and contemporary, but none more so than this: there already is a Palestine, and it’s called Jordan. This may be news to you. It is certainly not news to the Jordanians (the vast majority of whom are actually Palestinians). It’s not news to the Israelis either, who having made peace with Jordan don’t care to raise the issue. It certainly isn’t news to the terrorists in the West Bank and Gaza: it just doesn't serve their purpose. Rod D. Martin, founder and CEO of The Martin Organization, is a technology entrepreneur and conservative activist. 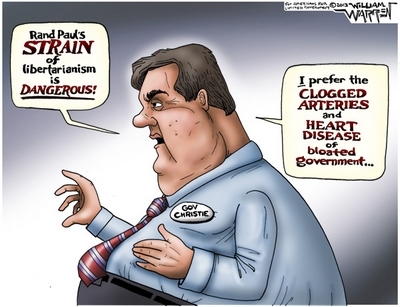 Previously he served as policy director to Governor Mike Huckabee. He is currently President of the National Federation of Republican Assemblies (NFRA), is a member of the Council for National Policy and shares his his writings are online at RodMartin.org. This article was original published on the Center for Security Policy. 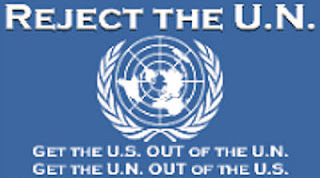 Tags: Middle East, History, Gaza Strip, Terrorists, Hamas, PLO, Israel, Israeli Borders, Palestine, Palestine authority, Jordan, Palestinians, United Nations, UN, Rod Martin To share or post to your site, click on "Post Link". Please mention / link to the ARRA News Service. Thanks!